Did you accidentally back into your garage door? If you’ve backed your car into your garage door, it can be a frustrating experience It can also potentially cause a lot of damage. In some cases, you may require Arlington garage door repair in order to get your garage door back to normal again. If you’ve found yourself in this situation, don’t worry. Below we’ll tell you everything you need to know about what to do after backing into your garage door. First of all, you’ll want to evaluate the damage that has been done by backing into your garage door. You won’t need a professional repair in every case. However, the damage done can vary greatly so it’s important to find out what you’re dealing with. It’s always important to stay safe when dealing with a garage door. Don’t touch any parts that are in the lifting system, as all of the components are under a lot of tension and can be very dangerous. Once you’re ready, check if the lifting cables are still aligned. You should also check to see if the rollers are still attached properly and perfectly in their tracks. You should also find out whether the garage door track has been bent. If it all seems to be pretty much intact, then you may be in good shape and you can then get your car out and away from the door. Once there is some distance between your garage door and your vehicle, you can do a bit of further testing. Make sure that you’re also standing a good distance away from the garage door as well. Then, press the button on your garage door remote to see how the garage door operates. There may be loud crunching noises and noticeable problems in the door’s operation. Be ready and if anything seems wrong then immediately stop the motion by unplugging the garage door opener. Then, make sure to not touch anything else until you get a professional involved. If you discover that your garage door will need a repair you should think about what options you have for getting a repair or replacement with your homeowner’s insurance. If there is some serious damage to the door you need to contact your insurance company and let them know and see what they can offer to help with repairs. You’ll want to consider your insurance deductibles first. In many cases, it may not be worth it to get the insurance company involved if you’ll have to pay too much out of pocket anyway. If your car has been damaged, you’ll also need to contact your auto insurance provider as well and see what options there are for getting a repair with your plan. Finally, if you discover that you need garage door repair you’ll need to look for a great repair company. You’ll want to compare your best options and find out what needs to be done and what your costs will be. Costs can vary a good bit depending on how extensive the damage is to your garage door. Keep in mind that depending on the age of the door and its components, it may cost more since replacement parts won’t be easily found. Labor is one of the biggest costs when it comes to repairing a garage door. If you need the entire system fixed it may take up to three hours in labor so keep this in mind. While it can be a frustrating experience to back into your garage door, the damage can be repaired. Accidents happen when you own a home, and repairs are necessary from time to time. If you’re experiencing garage door damage, make sure to follow the steps above and you’ll find that you’re able to deal with the situation better than you may have believed. If you’re looking for Arlington garage door repair, Alamo Doors & Gates can help. Contact us today to learn more about what we can do for you. In this world of do it yourself repairs, fixing a garage door may just seem like another weekend project. Fixing a garage door can be dangerous, and it isn’t something you should try on your own. These repairs are easy to mess up, and a simple mistake can cost you a lot of money. Before you make plans to fix that garage door on your own, keep reading to find out why you should always stick with a Fort Worth garage door repair professional instead. Is DIY Garage Door Repair Really Worth It? Pretty much every time, the answer to this question is going to be no. A lot of people think repairing their garage door on their own will save them money, but in most cases, this isn’t true. You need special tools to repair a garage door correctly, and these aren’t tools you’ll find buried in the back of the shed. So before you even start working, you’ll have to take a trip to the hardware store to get the right tools. That on its own can be expensive, but you still have to buy the new garage door parts you’ll need. At this point, you may be spending more to fix the garage door yourself than it would cost to hire a professional. The cost of professional garage door repair is lower than you might expect. Garage door parts are fairly inexpensive, and a professional’s labor rates are low. You’ll end up spending less money and get a better repair job when you call a professional. If you aren’t sure how to fix your garage door, trying to repair it on your own could just make things worse. By the time you call a professional, the needed repairs could be much more extensive. So instead of saving money, DIY repairs can make you spend more money. This probably isn’t something you’d want to risk. In the long run, DIY garage door repair won’t save you any time or money. Almost all garage door manufacturers don’t want you attempting to repair your garage door by yourself. So their warranties actually state only a trained garage door professional can make needed repairs. If you try to repair the door yourself, you can void your warranty. This might sound like an odd stipulation, but they enforce it for your safety. If you repair your garage door on your own and void your warranty, you could end up paying thousands of dollars in the future should it malfunction again. Or if you make a simple mistake while fixing your door, you’ll suddenly have to dish out a lot more money than you planned to fix it. Garage doors are heavy. Most of them weigh between 200-500 pounds. That’s not something you want falling on you. Unfortunately, garage door related accidents aren’t uncommon. Over 20,000 garage door injuries are reported every year. Most of these involve the hands and fingers, but may include more serious cases where a garage door has slid down on top of someone. Trying to repair your garage door on your own can result in some serious injuries that send you to the emergency room. To give you an idea of how dangerous working with garage doors can be, we’ve broken down some of the main risks involved with DIY repair. Before you decide to do any repairs on your own, make sure you read this list carefully. Here are some of the most common injuries that come in hand with DIY garage door repairs. Remember how heavy garage doors are? Well, if they fall off the track, they can cause serious damage to anything that’s too close. That means things like personal belongings, the garage floor, your cars, and even the garage door itself run the risk of getting severely damaged. And a collapsing garage door is pretty common when it comes to DIY repairs. There are many things that can cause a garage door to collapse, but one of the easiest ways to mistakingly cause the problem is with improper disconnection of the door restraints. Becuase professionals know how to work with garage doors and have the proper tools to do so, they can keep your garage door from collapsing and causing more damage to your property. A lot of garage door repairs involve a ladder. Becuase you have to work close to the ceiling, a lack of training and improper tools can result in a fall. This may not sound as serious as a collapsed garage door, but falls can cause injuries like broken bones and head trauma. Having a good, secure ladder may reduce your risk of falling, but it doesn’t keep you completely out of harm’s way. That’s why you should leave this kind of repair to a professional who has done it before. Most garage doors are either made with torsion or extension springs, both of which can be dangerous to work with. These springs are wound up very tightly and if they break during a DIY repair, they could shoot pieces in all directions. Because of the tension the springs are under flying pieces will be violent and could cause serious damage, to you or your property. You should always call a professional garage door repair service, but this becomes even more important when you have a problem with your springs. If your garage door starts to malfunction, don’t try to fix it on your own. You could end up spending more money than you need, and you’ll put yourself at risk of a serious injury. Hiring a Fort Worth garage door repair expert will get you a quick, professional repair while saving you time and money. Remember, professional garage door repair services aren’t as expensive as most people think they are. When it comes to garage doors, stick with a professional. It’s both safer and smarter. Having trouble with your garage door? Give us a call and we’ll get you the help you need. In 2015, it was estimated that over 60% of Americans were homeowners. While being a homeowner is a right of passage many take on with tremendous pride, it also means tremendous responsibility. There is a lot that can go wrong in your house and maintenance of the items you use every day will be a normal undertaking over the years. Among everyday items needing your attention is your garage door. To that end, if you’re looking for Southlake garage door repair services, Alamo Doors & Gates has you covered. With over 70 million garage doors existing in single-family homes across the country and more when you consider multi-family dwellings, this post is aimed at helping you understand more about your garage door and when to know it’s time to get it repaired by a professional. An automatic garage door relies on a variety of components to pull itself open. Typically your garage door will use a tension spring, a pulley and cable, a belt, tracks, an operator, and a variety of mounting brackets. All of these parts operating correctly are essential to your garage door’s functionality and above all else, its safety. What Are Signs That My Garage Door May Need Repair? Below are some of the most common issues people experience with their garage doors and what those issues may imply. If your garage door is taking a long time to respond to your opening prompts, it’s likely experiencing a problem. Typical response times for garage doors should be within a second of engaging your opener. If your response time is over double that, your door and/or opener are having difficulty communicating. While miscommunications between your opener and door may seem harmless, this can lead to unintentional shutting and injury. When opening your garage door, if you notice portions of it are sagging, there is likely a problem with your tension spring or another door component. This problem can exacerbate with time and can lead to accidental injury if left unattended. A qualified repair person can run a thorough inspection to fix whatever is causing your door to droop. This is an obvious one but deserves a mention – If your garage door won’t open, it needs to be repaired. Before calling a repair person, check to make sure that there’s nothing blocking your garage door from opening. Also, check to see if there is anything tangled in its tracks. If everything appears to be in order at a glance, then there’s likely a mechanical or another technical failure to blame. A garage door repair person can diagnose the issues, fix it, and get your garage back to being fully functional. Garage doors are things we use constantly and their functioning correctly is essential to our days running smoothly and our safety. There can be a variety of reasons a garage door may need servicing and if you’re looking for qualified Southlake garage door repair services, look no further than Alamo Doors & Gates. Alamo Doors & Gates have been helping property owners repair and replace their garage doors for over 18 years. We’re committed to quality, are family owned, and can help you with all of your garage door repair needs now! You can see the full list of services we provide here or for more door and gate related general information, read more on our blog. Curb appeal is one of the first things people notice about your home. From the colorful flower beds lining your sidewalk to the fresh coat of red paint on your front door, how your home looks on the outside plays a huge role in its charm. Although flowers and paint are great beautification tactics, homeowners sometimes overlook other areas of their home like the garage or the driveway. Yet studies have shown that improvements to these areas can actually boost your home’s value by more than 98 percent of the cost of installation. Whether you’re preparing to sell your home or just want to increase the value, changing the design quality of your garage door in Arlington, TX is a great way to invest in your future. We’ve got a few great ideas to help you get started below. If you know you’re ready to spruce up or swap out your garage door in Arlington, TX, then you’re already halfway through the process. Here are a few things to check off of your to-do list to help speed up the process. We can’t stress this enough, so make sure you have the correct measurements for before you schedule your garage door installation. Grab a tape measure, pen, paper, and a stepladder, and get to work. Measure at the widest point in the center of the garage door frame for the most accurate measurement. Choose the highest level point when measuring the top of the door. Continue down to the area of the floor that’s the most level. The length of the garage means the area from the where the door opens to the end of the garage. Remember to also measure the width of the frame on each side, allowing up to 3.75 inches for a vertical track. A center post of at least 10 inches wide should be installed if choosing double car garage doors. Headroom is the area from the top of the door opening to the ceiling. Make sure to get an accurate measurement of where the garage door rolls up onto its tracks. The area from the opening of the garage door to the back of the garage is called the backroom. This is a very important measurement to take because it’s where the garage doors are drawn back in. Sectional doors need 15 extra inches; electric doors need 18 extra inches. This simple type of garage door has a vintage feel to it. Roll out doors open outwards toward you. 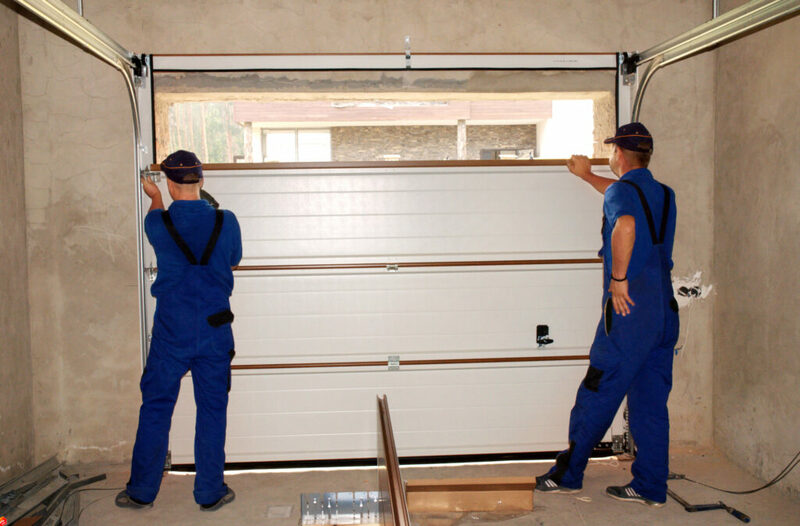 One of the first types of mechanical garage doors, swing up doors swing outwards and then upwards. This type of door is great for corners and unusual spaces. It opens and closes by sliding on a track. Now that you’ve got the basics, let’s explore three design tips to help you choose the perfect garage door in Arlington, TX. You wouldn’t wear a tuxedo jacket with swim shorts to a formal wedding, would you? So why pair a mismatched ranch-style garage door with an ornate Victorian home? Selecting the right garage door based on your home’s architecture gives your property a seamless look and bumps up the curb appeal. The color you choose for your garage door in Arlington, TX can make as big of a splash as you like. If you want to make a bold statement, a bright red or saturated color can really punch up your look. Or, if you’d rather the doors not be the center of attention, neutral palettes are always a good choice. Color can play as big (or small) of a role as you want it to, so make sure you choose the one that suits your needs. When selecting the style of your garage doors, make sure you know what your budget is before you get attached to those elegant frosted glass roll-up doors. It’s best to know what type of garage door you’ll be investing in to avoid any heartbreak or partner arguments. Traditional doesn’t have to mean boring and contemporary doesn’t have to mean cold. Shake things up a little more and redefine your garage door style. Although it’s important to create a cohesive garage door look, you can still create a complimentary mix-and-match look that flows. Depending on the style of your home, there are many types of traditional garage doors to choose from. Whether you live in a classic Spanish home or a charming Bungalow, this look works well with most styles because of its neutrality. If you live in a contemporary home, chances are pretty strong that clean lines and unique materials are at the top of your design list. Make sure to follow through when it comes to selecting a contemporary-style garage door in Arlington, TX. From frosted glass to stainless steel to bamboo, you can get really creative with the materials. While carriage house-style doors have a charming vintage feel to them, they’re surprisingly interchangeable with most architecture designs. This type of door can be operated manually, opening from the center out, or electric with a remote. We all get stuck in a rut from time to time, so what better way to revamp your curb appeal than to swap out your garage door materials? With a variety of options to choose from, we’re certain there’s a fresh new look ready for you to discover. Just make sure to match the warranty coverage to your environmental needs. Depending on your budget and the climate you live in, wood garage doors are a popular choice for many reasons. They’re easy to install and go with every home style. They’re also easy to replace if necessary. The only potential downside to this material is the warranty is usually about a year, tops. Low-maintenance and cost are the two most attractive qualities of steel. Although dents can sometimes be an issue, as long as you choose 24-25 gauge steel, it should be strong enough to avoid these problems. Fiberglass panels also help reinforce the strength of steel doors. Sturdy and rust-proof are the top selling points to buy an aluminum garage door. Lightweight options are also appealing as they put less strain on the continual mechanism of the door. Although all glass doors were previously seen more in fire stations and garages, they’re currently experiencing a renaissance. Most doors are made of tempered glass and are attached to a metal rolling frame. Although not for everyone, this ultra-chic look is the ultimate in modern design. Ready to Upgrade Your Garage Door Design? We hope you enjoyed these three fresh design ideas to help you make the best decision possible. When you’re ready to select the perfect garage door in Arlington, TX, contact us for your next job. Your home’s garage door is so much more than an entrance. It’s a convenient way to store your car that simultaneously keeps your vehicles, belongings, and family safe. A broken garage door puts all of the above at risk and looks bad, to boot. 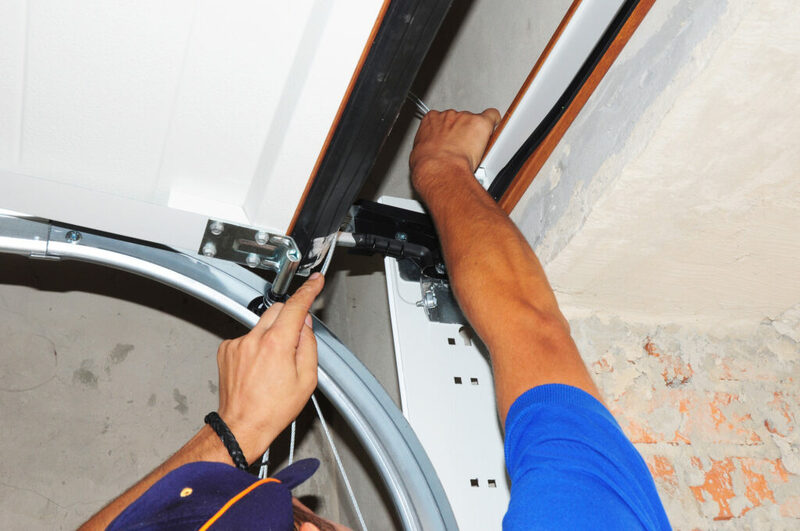 If you’re thinking of having your garage door repaired, we’ve got the perfect article for you. Here are three of the biggest signs you need Fort Worth garage door repair. Perhaps the most obvious sign that you need Fort Worth garage door repair is that your garage door simply won’t open or close. Now, it’s worth noting that the problem isn’t always the garage door itself. 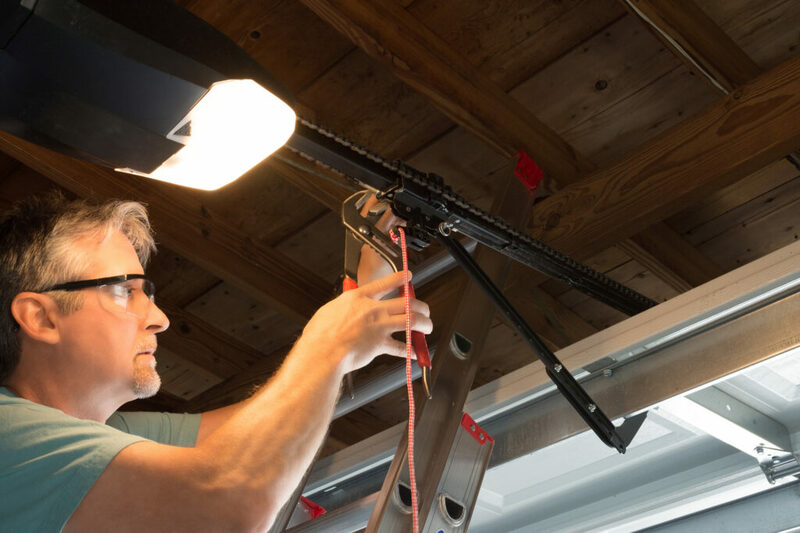 Sometimes interference or electrical issues can cause a weakened connection between the garage door opener and the door itself. To save yourself (and your local repairmen) some time, ensure that nothing is blocking the door’s sensor. Something as small as a twig or a piece of trash can cause interference. However, if you’ve cleared the sensor and your garage door still won’t respond, seek out repair immediately. 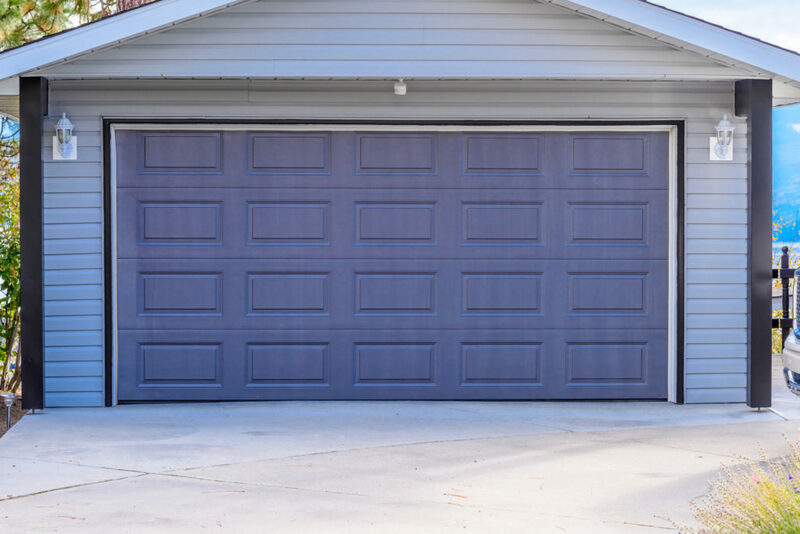 There are tons of reasons for a warped garage door, from accidentally hitting it with your vehicle (it happens to the best of us) to weather-related incidents. A warped garage door is so much more than an inconvenience, however. Even a slight dent in your garage door can prevent it from closing properly leaving the rest of your garage vulnerable to the outside world. Thankfully, it’s nothing your Fort Worth garage door repair company can’t handle. Whether you need a complete replacement or just a tune-up, keeping your garage door in top shape should be a priority. Of course, even if your garage door isn’t “broken” it still may be in need of repair. Delayed response time can be a huge annoyance. Typically, it should only take one to two seconds for your garage door to connect with the opener. However, electrical issues can cause a delayed reaction that results in several extra seconds of waiting. It sounds like a small problem, perhaps, but it’s often difficult to determine the cause of a delayed response. Sometimes it’s an electrical issue and other times all you need is a bit of oil to repair the door yourself. At the end of the day, a garage door is a lot like a vehicle or any other appliance. Sometimes it’s hard to fix yourself, so calling the experts is often the best call. You can get in touch with your local experts at Alamo Doors & Gates 24/7. We even offer emergency repair solutions if your repair can’t wait.